I can’t help it. I’ve become the person whose Instagram gallery is filled to the brim with puppy photos. We have fostered two dogs since we came back from our honeymoon. 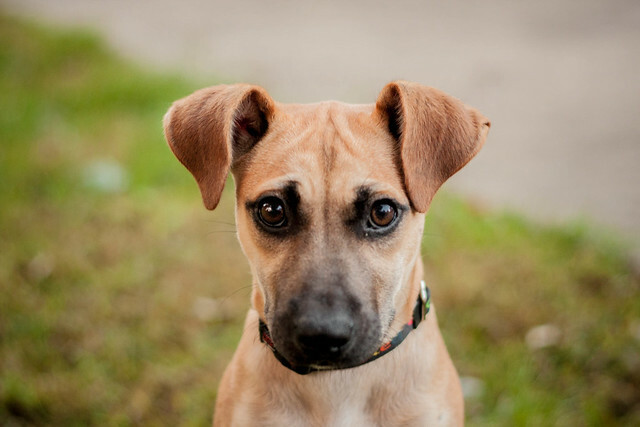 The first was a 10-week-old shepherd mix named Gina who found a home within 24 hours. We haven’t been thrilled with our experiences fostering at several local shelters, so we decided to go breed specific and apply to the Dachshund Rescue of Bucks County. We are really happy with their organization and how much they value their fosters. We went through foster training, and a week later, we were introduced to our first foster. Meet the newest addition to the family. That’s right, we’re totally keeping him. My blog header is in need of a redesign since we’ve gained a dog and lost a rabbit since it was created. And now for the little guy’s back story. He was rescued from a kill-shelter in Baltimore, Maryland, where a kind man picked him up and hauled him a few hours to the Dachshund Rescue in Pennsylvania. The guy who saved him named him Dexter, so we’re probably going to keep the name out of respect for his awesomeness (plus I love me some Dexter Morgan). When the man asked the shelter what was going to happen to Dexter, the shelter informed him that the 10-month-old dachshund would have to be euthanized because there simply wasn’t enough room. This is all too common. We couldn’t be happier to make room in our home for him — he’s still a bit malnourished, but we’ve switched him to a healthy diet and consistent schedule. He curls up under the covers in bed with us every night and seems to have hit it off with Betty White (although she’s not one for cuddling). We’ll continue to foster dachshunds through the rescue, but our permanent zoo is at maximum capacity. I look forward to finding more of these snugglers happy homes and I’ll be sure to update my blog along the way.